Reader Question: I want to start using pastels, but I don't know what materials I need to buy. Any ideas? There are many different brands of pastels available. If you don't know what you're looking for, it might be a good idea to go to an art supply store that carries pastels open stock so that you can try them out on test paper. That way you can get a feel for the qualities of each pastel. 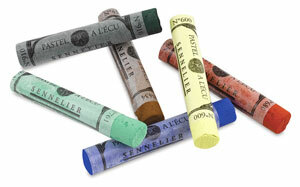 Sennelier - These soft pastels are described as soft, buttery and velvety when they are applied onto paper. Senneliers are also noted for their intense color. 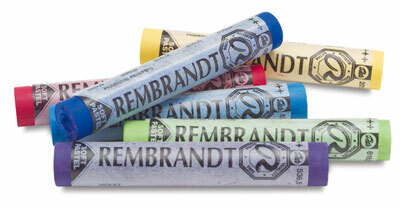 Rembrandt - These are considered soft pastels, but they are harder than the Senneliers, so they are easier to control if you want to achieve detail in your work. They blend well. 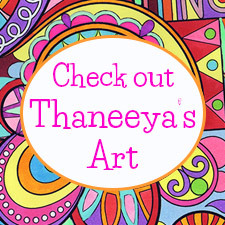 Prismacolor NuPastels - NuPastels are "hard" pastels, allowing for finer detail and linework. They are less messy than soft pastels. 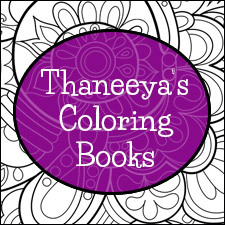 Each of these pastels can be purchased individually or in sets of various sizes, depending on your budget and your needs. If you're on a budget, there are student grade pastels you can try like Reeves, Loew Cornell or Alphacolor. These brands come in affordable sets. 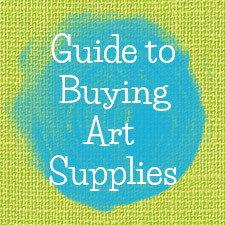 While they are great for beginners, if you enjoy pastels so much that you want to get serious with them, you'll achieve greater results with the "artist quality" brands mentioned above. The artist quality brands contain more pigment, making the color and consistency more rich and vivid - plus they are available in a much wider range of colors than the student quality pastels. Next you'll need something to draw on - either paper or board. Paper is the most common surface used for drawing or painting with pastels, but there are now wooden boards available too. Whether you prefer paper or board will depend on your personal taste, so you could try out a few types of papers and boards to see what you like best. 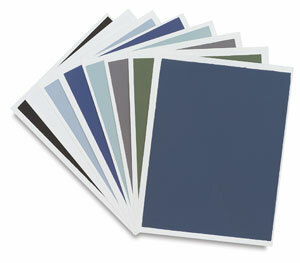 When shopping for pastel paper, look for one that has a "toothy" surface. It will feel a bit like sandpaper, only finer (not as rough). You'll get better results by working with pastels on a toothy surface that "grabs" the pastel particles and holds them in place. Smoother paper is unable to grab hold of the pastel particles in the same way, making them much more difficult to work with. If you want to try drawing on a board, I'd recommend Ampersand Pastelbord, which is a museum-quality, warp-resistant board. The benefit of Ampersand Pastelbord over pastel paper is that due to its strength, it can withstand many more layers of pastels than paper can. If you have a drawing table with a top that can be tilted at an angle, you can just lay your pastel paper or board on the table to work. Otherwise you'll need to attach your paper to a sturdy drawing board. 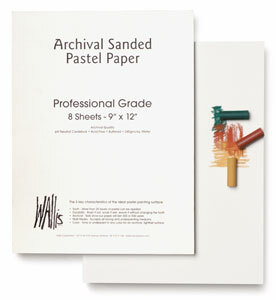 Use an acid-free, easily removable tape to attach your drawing paper to the drawing board. 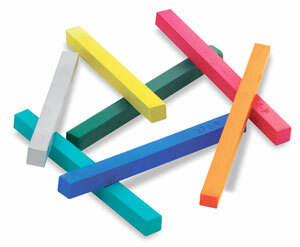 Colored pencils are great for laying out your composition before you start to draw with your pastels. When creating your underdrawing, choose colored pencils that match the color of what will be going over top of them. 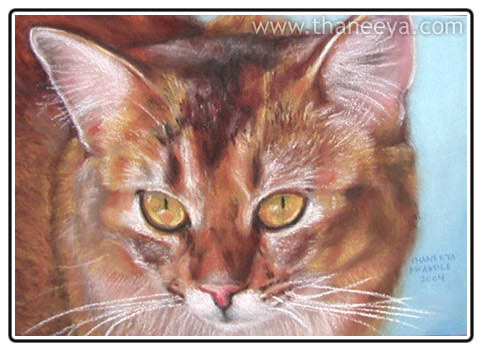 For instance, use a light umber or sienna colored pencil to outline golden fields or trees. Use white or light blue to outline clouds, etc. In general it's best not to use colors that are too dark for your underdrawing. 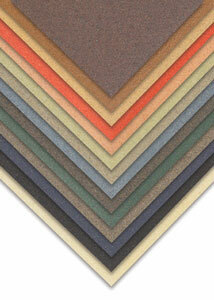 Choose colors that are neutral and therefore easy to cover with pastels without showing through. You can use your fingers to blend, or you can get some blending tools. 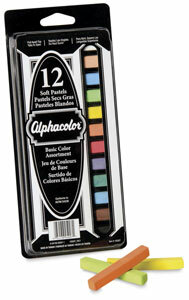 Click here to learn all about your options for blending pastels. Since pastels are always in danger of getting smudged, some pastel artists use a spray fixative to "fix" the pastel particles in place - although many artists refuse to use any fixatives at all. Fixatives are notorious for darkening or dulling the vibrancy of pastels, so use them with caution, and always do a test spray first on a scrap paper to see if you like the results. 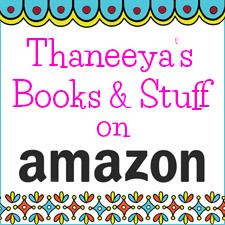 Read reviews of various fixatives to see what other artists are saying about them before deciding on one. Hope that helps and have fun exploring pastels!